Time for another Tuesday Trigger in the Moxie Fab World over at Paper Crafts magazine. Here's our inspiration photo from Cath. And, my take on it. I loved the stripes in the photo. So clean and strong. I like the stripes in my card too, but I thought it needed a little accent color so I added the yellow. Much more cheery! Here's a link if you want to get the info so you can create along with us. Thanks so much for stopping by and supporting my work. Wishing everyone a wonderful Christmas. You are in my thoughts and prayers. Thanks so much for all your visits to my blog and for all your encouragement. Another fun challenge in the Moxie Fab World. Cath gave us a Fashion Challenge and here is our inspiration photo. This is such a classy jacket that I wanted to have the same feeling in my card. I used a herringbone scrapbook paper from the Paper Studio and folded it into a 3D flower. 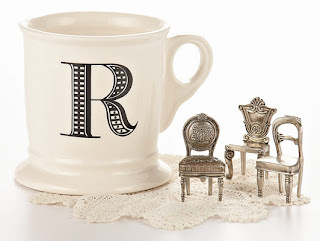 I added the dotted Swiss from the same collection. 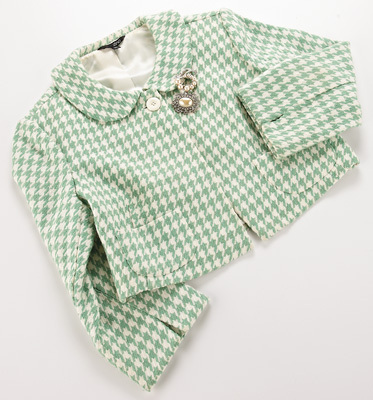 That beautiful pearl button comes from Prima. 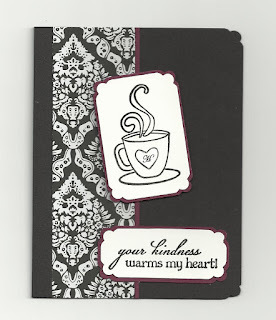 Then, I stamped the sentiment with stamps from Fiskars' Latte Love collection. And as always, I encourage you to make a card too. Here's the link. 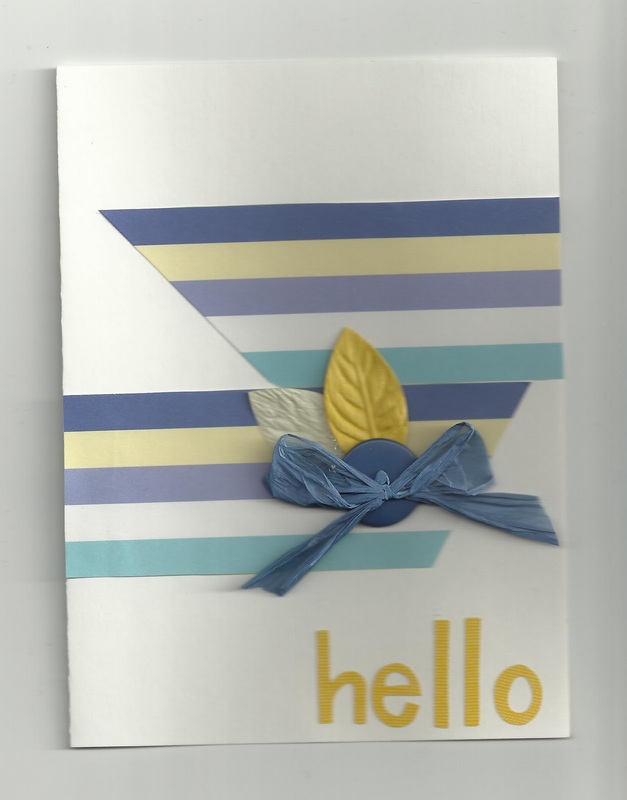 I made this card for the Get Inspired Pot Pourri Challenge in the Moxie Fab World. First things first. This is the inspiration photo Cath gave us to work with. The coffee cup in the inspiration photo drew my attention right away plus I love the colors of black and white together. They make even a simple card look elegant. 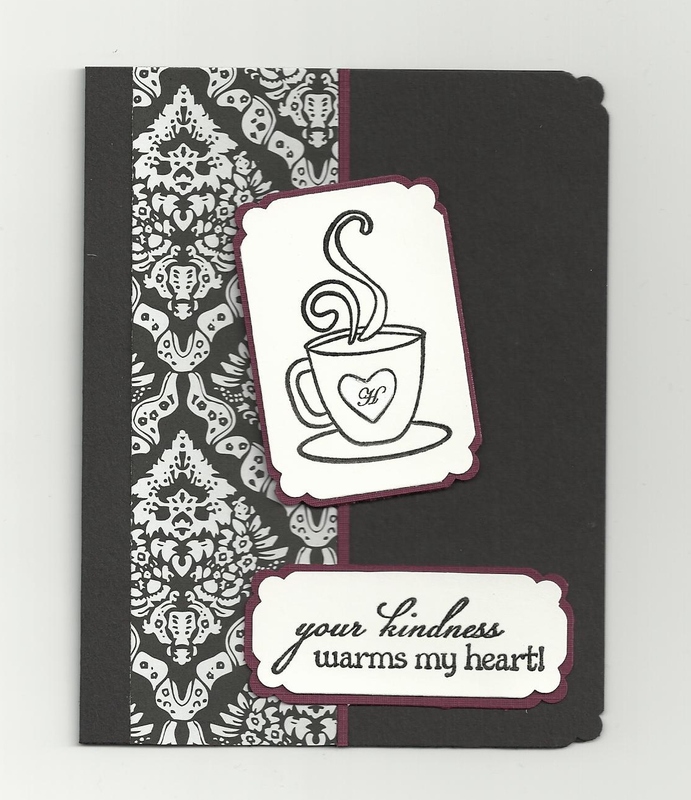 I used Fiskars Latte Love stamps to create this card. I printed out a small "H" in French Script on my computer onto white paper then cut it to fit within the heart on the stamped image. I backed the images with a deep maroon because I thought the card needed just a touch of color and maroon always looks elegant. I have a friend who will love getting this card. And of course, the link in case you want to join us in the challenge. 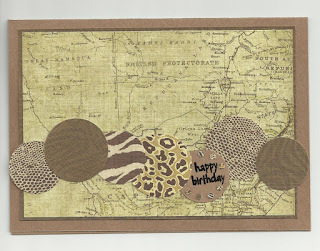 I made this card for the Get Inspired by Home Decor Challenge in the Moxie Fab World. First, here is the inspiration photo Cath gave us. And, here's my take on it. 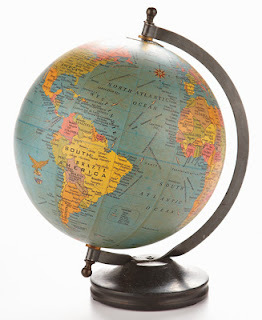 I love old maps so I was very inspired by this photo. 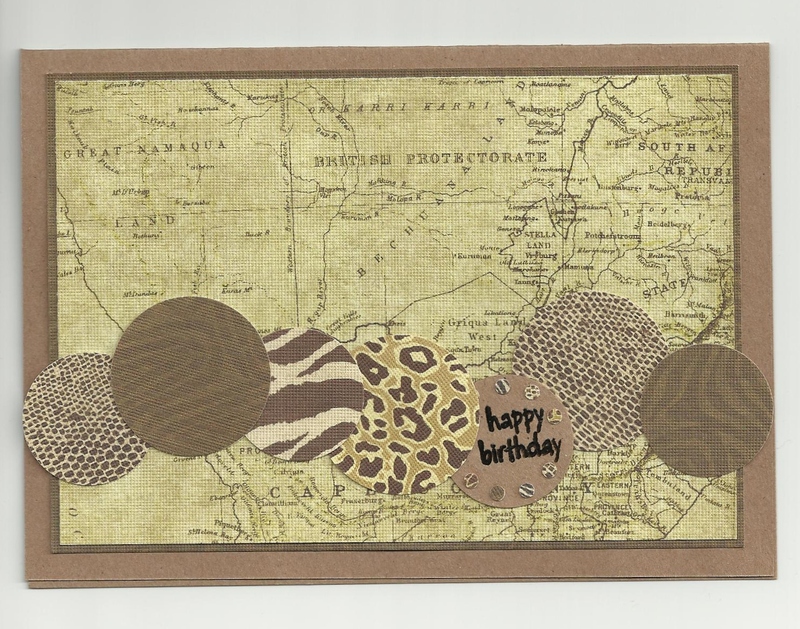 I used this gorgeous African map cardstock from DCWV. Then, I punched different sized 'globes' of African prints. I used Hero Arts "Small Greeting" to say happy birthday. I can't wait to send this card to someone special. Thanks, Cath, for the great inspiration photo. Here's the link if you want to make your own card.